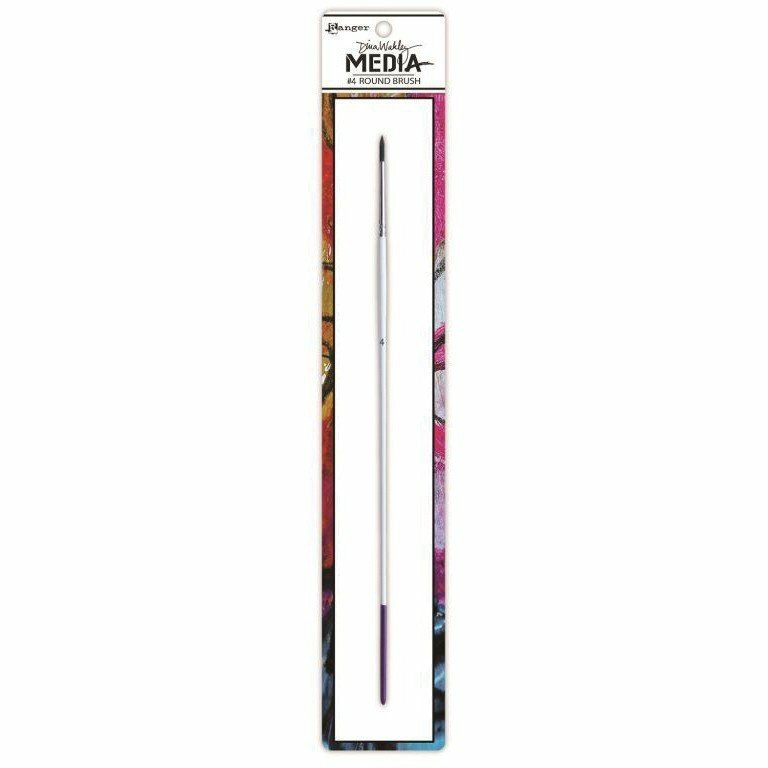 Dina Wakley Media Brushes feature durable, synthetic bristles housed in a rust-resistant, metal ferrule. The 9″ handle is suitable for both desk and easel work. Stiff bristles provide maximum control and have good “spring.” All brushes include colour-coded tips for easy identification.